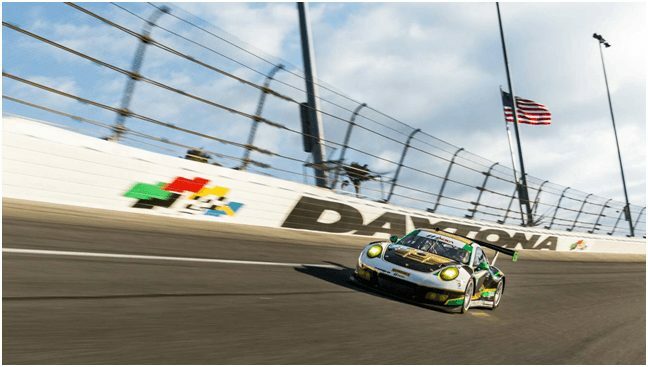 (CLOVER, SC) January 30th, 2017 – This past weekend at the 2017 Rolex 24hr at Daytona, Alegra Motorsports took the GTD Class victory with their inSync sponsored Porsche 911 GT3R-fully equipped with PFC Brakes. PFC also captured the top four finishing positions in the BMW Endurance Challenge before the 24hr, all with Porsche Cayman GT4s fully fitted with PFC Brakes. Celebrating a sentimental victory, Alegra Motorsports’ last Daytona 24hr win was 10 years ago. 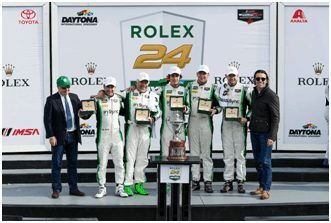 This years 55th running of the Rolex 24 was also the debut race and 1st endurance win with PFC’s brand new 331 and 332 CarbonMetallic® new generation endurance race compounds with ZeroDrag™ patented pad retraction calipers, and V3 ZeroFailures™ discs. Alegra Motorsports teammates Carlos de Quesada and 17 year old son Michael de Quesada, Jesse Lazare, Danil Morad, and Michael Christensen made the win happen. The drivers cycled throughout the evening and with a brief period falling two laps down, they managed to bring the car back up to the lead lap in the last hour with the improving track conditions following a grueling night of cold and rainy weather. Michael Christensen, Porsche Works Driver , took the wheel for the final stint, taking them from third to first place. Holding the position through restarts and several caution periods, the Porsche 911 GT3R crossed the finish line .293 seconds ahead of the second place #29 Audi R8 of Land-Motorsport for the GTD class victory. Larry Hahn, Alegra Motorsports’ race engineer with an extensive background including Tom Milner’s PTG BMW factory team, has won the 24hr at Daytona four times now in his class. First in 1987, 1997, 2007, and now in 2017. 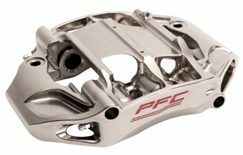 In all four of his class wins he used PFC Brakes; rounding up to 40 years of trusting PFC. The winning Porsche 911 GT3 is fully fitted with PFC Brakes ZR77 and ZR78 calipers with ZeroDrag™ patented pad retraction, V3 ZeroFailures™ discs, and all new 331 and 332 CarbonMetallic® endurance race compounds. By virtually eliminating compressibility at elevated temperatures, the newest generation of endurance compound 331 and 332 compounds greatly enhance “threshold feel” and reduce the magnitude of ABS intervention. With excellent disc conditioning, exceptional release, and very low abraded wear, these compounds are made specifically for today’s challenging demands in endurance sportscar applications. PFC Brakes is proud to be part of the Alegra Motorsports team, and congratulates them on a nostalgic and well-deserved GTD Class Victory at the 55th Rolex 24 at Daytona. In the BMW Endurance Challenge at Daytona, a complete sweep by Porche Cayman GT4’s claimed the top four finishing spots in the Grand Sport Class of the IMSA Contintental Tire SportsCar Challenge. The four hour long race had a wide variety of fast running Mustangs and McLaren GT4’s, but was dominated by Porsche GT4 teams. Finishing first was the No. 12 Bodymotion Porsche, second place No. 33 CJ Wilson Racing Porsche, third place the No. 35 CJ Wilson Porsche, and fourth place the No. 28 RS1 Porsche. Each of these powerhouses were fully equipped with PFC’s ZR6 and ZR69 ZeroDrag™ calipers, and V3 ZeroFailures™ discs.